Our character, Colonel Moretti, reverse this saying. It started as a police officer, he continues to espionage which is illegal things. Now close to retirement these things to shame. It tries to repair when he can, the evil he had done in obedience to orders when he thought he was on the right side. Now, he knows he has nothing to lose, he is sick and he does not know how much longer has to live. To carry out the orders he killed the only woman he loved. 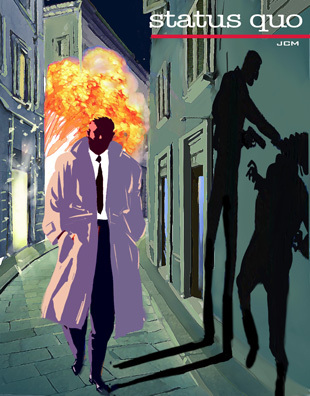 The mixing of politics and crime in Italy of the ’70 -’80 years are very fertile subjects. The adventures that develop in two periods: the 70s and the present. They did not start from the present to go into the past with Flashback, but on two parallel planes, as if the past could interact with the present and vice versa. Gender is Adventure / Drama but in the end (I have already written the end) could be a great love story.